Apple's (AAPL) Sept. quarter iPhone sales -- 6.9 million -- were very impressive. But if Steve Jobs wants to catch the likes of no. 2 Samsung -- 51.8 million phones last quarter -- he's going to have to start selling iPhones for less than $199. What pricing strategy makes the most sense? An iPod-like family of iPhones, starting at, say, $99, and going up to $299. How will Apple get there? We think the company will lower the price of the current iPhones by $100 each by the middle of next year. We also think they'll introduce a new premium model at $299 with more color choices -- pink, blue, purple, green, etc. ; at least 32 gigabytes of storage; and potentially more features. This idea isn't new, of course. Piper Jaffray analyst Gene Munster has been talking about a family of iPhones for months -- it's baked into his forecast of 45 million iPhones shipped in 2009 -- and he reiterated his thoughts this week: "Apple could lower the price by removing features like 3G and GPS, and alternatively could make a premium [phone] with a sleeker design or higher-end materials." This makes sense, but we do not think Apple will accomplish this by removing features like 3G or GPS. Why not? Because they're not very expensive components, especially relative to their utility. When Munster asked Jobs about his "big picture" roadmap for the iPhone on the Apple earnings call, Jobs said: "Well, I think we have to be the best and I think we have to not leave a price umbrella underneath us..."
An iPhone without 3G or GPS would not be "the best." It would be a two-year-old phone, like Apple's first iPhone. 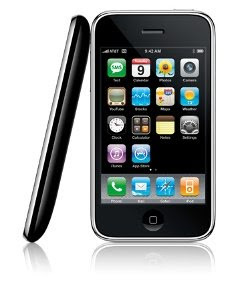 The iPhone's 3G network access, for example, provides more than just a faster Internet connection -- it lets you get a phone call when you're using the Internet, which the old iPhone didn't. Just as important, it allows AT&T to charge an extra $10 a month for Internet access, which is key to their willingness to subsidize phones by several hundred dollars up front. More generally, we don't think Apple would ever sell a less sophisticated phone than today's iPhone, eliminating features like the big, multi-touch screen, large-capacity hard drive, mobile Internet access, or access to Apple's App Store for an "iPhone nano." Those just wouldn't be iPhones -- they'd be disappointments. So the only option would be to cut prices on the current iPhone and keep it as a base model. The good news: That might not hurt Apple's financial performance as much as previously thought. Citi's Richard Gardner estimates that Q3 iPhone average sales prices were $50-$75 higher than he previously expected, and margins "several percentage points above our previous estimate." This suggests that, with greater scale, Apple could afford to cut its current iPhone prices by $100, sell a lot more phones, and still make impressive profit margins (volume will help, as will software sales from the increased number of units). One caveat: Cutting the price of the iPhone won't reduce the iPhone's high monthly service bill -- $70/month mininum in the U.S., which is about 40% more than what people spend, on average, for cellphone service. Note that T-Mobile is charging $25/month -- $5 less -- for Internet service on its Google-powered G1 phone. This difference is probably not enough to stop someone from buying an iPhone, but it's still worth keeping an eye on as iPhone competitors improve. (Watch what Verizon Wireless charges per month for RIM (RIMM) BlackBerry Storm service, for example).